The Chinese Revolution of 1911, also called Xinhai Revolution (辛亥革命) after the year of the Chinese calendar in which it occurred, was an uprising that led to the fall of the Qing Dynasty (1644-1911) and to the foundation of the Republic of China (中華民國, ROC). The revolt began on October 9th when the accidental explosion of a bomb drew the attention of the local police to a house in Wuchang’s Russian Settlement. The house was searched and a list of names of revolutionaries was found. Since the incident had exposed their plans and identities, the insurgents decided to strike at once. On October 10th, the revolutionaries attacked and overwhelmed imperial forces in the city of Wuchang. The uprising spread to other cities and provinces, causing panic among Qing officials. The imperial house hoped to save itself by seeking the help of Western powers, but they chose to remain neutral. The dynasty that had ruled China for 267 years fell with astonishing rapidity, and the insurgents became masters of China. October 10th was later declared the National Day of the Republic of China (國慶日 / 国庆日; pinyin: Guóqìng Rì), also known as Double Ten Day (雙十節 / 双十节; pinyin: Shuāngshíjié). One of the earliest references to the Double Ten Day commemoration can be found in a speech given by Sun Yat-sen on October 10, 1912, at a meeting of the Chinese World Student Association in Shanghai (Sun 1994 , p. 100). The Double Ten Day celebration became an integral part of the rituals of power of the Guomindang one-party state on the mainland and later on Taiwan. Nowadays, the Double Ten Day remains the National Day of the ROC on Taiwan, while in the People’s Republic of China (PRC) the Xinhai Revolution is praised for having overthrown the feudal Qing Dynasty, but it is considered only a transition period that paved the way for the Communist victory of 1949. The Double Ten Day used to be celebrated in Hong Kong, especially in the Guomindang enclave of Tiu Keng Leng. It is also celebrated by some communities of overseas Chinese and by ROC sympathisers in the PRC. On 10 October 1911, revolutionaries belonging to the 8th Engineering Battalion of the 8th Regiment of the New Army in Wuchang launched an anti-Manchu insurrection. This was only one of many attempts to overthrow the Qing Dynasty between the end of the 19th and the beginning of the 20th century. All revolts had so far failed, and no one expected that this uprising would create a domino effect, and that province after province and city after city, the whole of China would declare its independence from the central government in Beijing. The failure of the Qing Dynasty to protect China from foreign aggression and to carry out extensive economic and political reforms had convinced a large number of intellectuals and members of the upper classes that the Chinese people must get rid of the “foreign yoke” of the Manchus and of the thousand-year-old absolute monarchy if they wanted to create a new, strong, modern China. The staunchest supporters of a republican form of government were the revolutionaries led by Sun Yat-sen. The atmosphere in Wuchang was electrical. Comrades Sun, Wu, Liu, and others decided to act and raise a rebellion of the troops. However, quite unexpectedly, our committee was discovered, and thirty people were imprisoned […] At this time, there fell into the hands of the Imperial authorities a list of our artillerymen and other soldiers who were taking part in the work of the Revolution. With the object of saving these comrades from inevitable destruction, it was necessary to act immediately with great urgency […]. Governor Jui Chen, hearing the noise of the cannonade, immediately fled to Hankow, and appealed to the Consul of a “certain” country to bombard the city. But […] my old acquaintance, the French Consul, who informed the meeting that this rising had taken place on my instructions, […] declared that the revolutionaries of the Sun Yat-sen Party were by no means making a senseless mutiny, but were fighting for the reconstruction of a political authority. Therefore, they cannot be classed with the Boxers, and they should not be interfered with […]. The other Consuls joined […] and passed a resolution of non-intervention and maintenance of neutrality (Sun 1953 , pp. 169-170). Since the attitude of the Western Powers was favourable to the revolutionaries, the local Chinese authorities fled to Beijing. The whole Hubei province was soon in the hands of the insurgents, and this success led to uprisings in other provinces. The Qing government first tried to save itself by appointing General Yuan Shikai as Premier of the National Assembly in Beijing. Yuan held talks with a leader of the revolutionaries, the British-trained jurist Wu Tingfang. the representative of the People’s Army (i.e. the Revolutionaries) Wu Ting-fang, steadfastly maintains that the mind of the People is in favor of the establishment of a republican form of government as its ideal […]. This is a matter that should not be decided by one part of the nation alone […] Therefore it is advisable to call a provisional National Convention and leave the issue to the Convention to decide (ibid., p. 717). [The] deputies from all the provinces of China, assembled in the city of Nanking [=Nanjing], elected me Provisional President of China. In 1912 I assumed office, and ordered the proclamation of the Chinese Republic, the alteration of the lunar calendar, and the declaration of that year as the First Year of the Chinese Republic. Thus thirty years passed as one day, and only after their completion did I achieve my principal aim, the aim of my life – the creation of the Chinese Republic [中華民國; pinyin: Zhōnghuá mínguó] (Sun 1953, pp. 175-176). I say the foundation of a state is the People. The different races such as Hans, Manchus, Mongols, Muhammedans, and Tibetans are now to be united as a nation. This is what I call the unity of our Races (MacNair 1927, p. 720). Although the Republic of China, Sun Yat-sen’s dream, had been established, it soon became clear that the consolidation of the new government was far more difficult than the revolutionaries had predicted. The overthrow of the Manchus did not usher in an era of peace and prosperity, but rather a protracted period of chaos, social unrest, disillusionment, and wars. In the collective memory, the Republican era is not associated with the rebirth of China, but with warlordism, corruption, economic weakness, civil strife and foreign aggression. 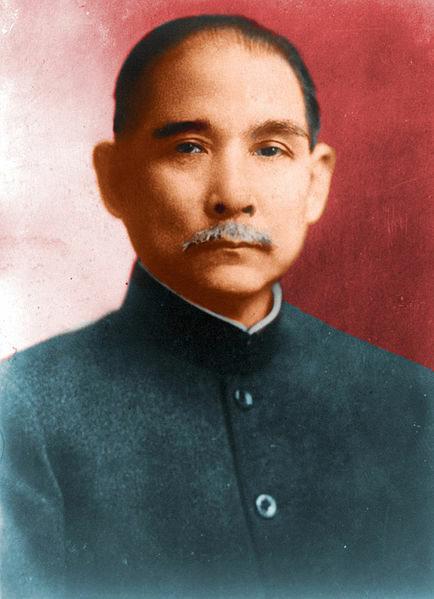 To overthrow the absolute oligarchic form of the Manchu Government, to consolidate the Republic of China, and to plan and beget blessings for the People, I, Sun Wen [=Sun Yat-sen], will faithfully obey the popular inclinations of the citizens, be loyal to the nation, and perform my duty in the interest of the public, until the downfall of the absolute oligarchic Government has been accomplished, until the disturbances within the nation have disappeared, and until our Republic has been established as a prominent nation on this earth, duly recognized by all the nations. Then I, Sun Wen, shall relinquish the office of Provisional President. I hereby swear this before the citizens (MacNair 1927, pp. 718-719). During the revolution Yuan Shikai emerged as the most powerful politician at the imperial court. His political genius and personal ambition led him to adopt a pragmatic stance towards both the Qing and the revolutionaries. At first, he played the role of mediator between the Republicans and the Manchu Dynasty, trying to save the latter. But the revolutionary forces were resolutely determined to oust the Manchus. When Yuan Shikai demanded the dissolution of the provisional government in Nanjing, Sun Yat-sen was firm: Yuan Shikai had to pledge his loyalty to the new Republic if he wanted to hold talks with the revolutionists (see Chen 1972 , p. 98). Yuan Shikai realised that his political career wouldn’t last long if he sacrificed himself for the Qing Dynasty. The salvation of the Empire was a lost cause. He thus changed his strategy. He tried to solve the crisis by ensuring a smooth transition from Empire to Republic, presenting himself as a peacemaker and a faithful servant of the new state. The Imperial family was divided between those who favoured an abdication and those who wanted to suppress the revolution. Yuan Shikai made clear to the imperial family that if they wanted to fight against the revolutionaries the sum of 12 million taels had to be made ready to finance the war. 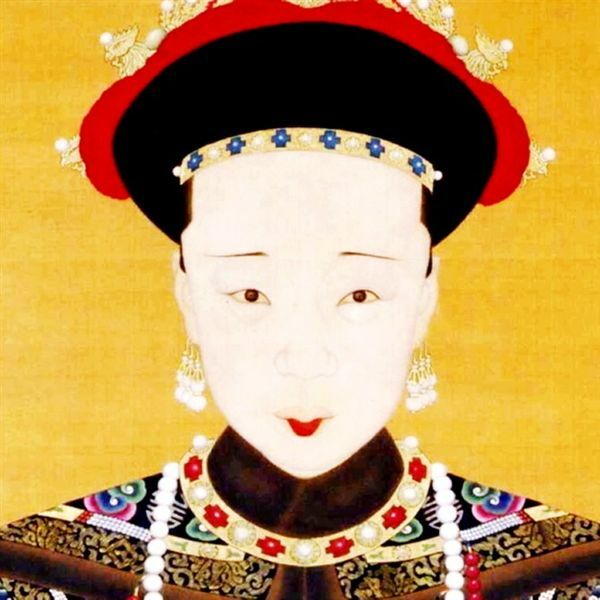 But the imperial treasury was empty, and none of the Manchu princes was ready to sacrifice his personal fortune to pay for the army (ibid., p. 99). On January 26, the imperial cabinet met at Yuan Shikai’s residence. 40 high-ranking officers of Yuan’s troops had sent a telegram urging the Manchus to abdicate. On that very night, Liangpi, the army chief-of-staff, was killed by a fanatic revolutionary on his way home. Following this murder, fears for the very safety of the imperial family increased. Emperor Xuantong (right, standing) , commonly known by his name Puyi (1906 – 1967). He was the last Emperor of China. 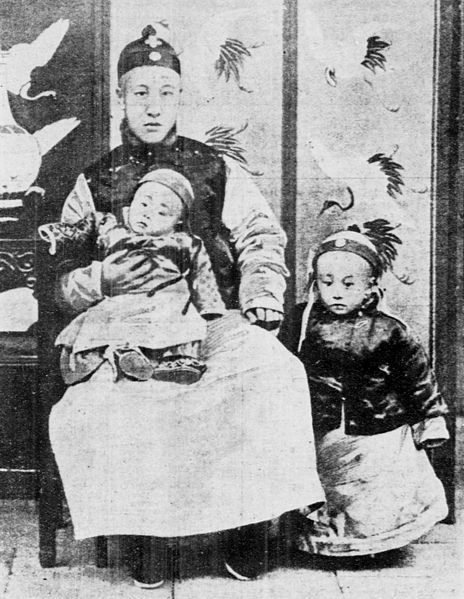 On January 27, Empress Dowager Longyu, the wife of the deceased Emperor Guangxu and the adoptive mother of the last Chinese Emperor, Puyi, was in a state of panic; she screamed at Yuan Shikai’s deputies, beseeching them to convey to the General the message that the Emperor’s and her own life were in his hands, and that he had to save them (ibid., p. 100). Three days later, Longyu made the decision that would terminate a 2,000-year-old Empire: she agreed to the abdication of the Qing Dynasty. The revolutionaries, wishing to avoid further conflicts, granted the imperial family special privileges: the Emperor would retain his title and be treated by the Republican government with the respect due to a foreign sovereign. Among other things he would receive an annuity, be allowed to reside in the imperial palace, and perform traditional religious rituals (see MacNair 1927, pp. 723-724). I, Empress Dowager, […] together with the Emperor, hereby hand over the sovereignty [ 統治權: tǒng zhì quán] to be the possession of the whole people, and declare that the constitution shall henceforth be Republican, in order to satisfy the demands of those […] hating disorder and desiring peace, and anxious to follow the teaching of the sages, according to which the country is the possession of the People (天下爲公). Yuan Shi-kai, having been elected some time ago president of the National Assembly at Peking, is therefore able at this time to of change to unite the North and the South – let him then, with full powers so to do, organize a provisional Republican Government (MacNair 1927, p. 722-723). To-day I present to you my resignation and request you to elect a good and talented man as the new President. The election of President is a right of our citizens, and it is not for me to interfere in any way. But according to the telegram which our delegate Dr. Wu [Wu Tingfang] was directed to send to Peking, I was to undertake to resign in favor of Mr. Yuan [Yuan Shi-kai], [who] has declared his political views in support of the Republic […] The abdication of the Ch’ing [=Qing] Emperor and the union of the North and South are largely due to the great exertion of Mr. Yuan. Moreover, he has declared his unconditional adhesion to the national cause. Should he be elected to serve the Republic, he would surely prove himself a most loyal servant of the state (ibid., p. 728). At the elections held on January 1913 – the first democratic elections in Chinese history – Sun Yat-sen’s newly founded party, the Guomindang, obtained a clear popular mandate, despite the fact that the electorate comprised only males over 21 who paid at least $2 of taxes, had property worth at least $500 and had received elementary school education, which means that only about 40 million people, or 2% of the population, had the right to vote (Jonathan D. Spence: The Search for Modern China, 1999, p. 276). Nevertheless, the election was a milestone in Chinese history, and the Guomindang emerged as the most progressive political force of the country. With 269 seats out of 596 in the House of Representatives, and 123 seats out of 274 in the Senate, the Guomindang was in the position to form a government. Yuan Shikai was expected to resign so that the democratically elected parliament could appoint a new president (ibid.). Yet Sun Yat-sen and the revolutionaries who had put their trust in Yuan Shikai were gravely mistaken. Instead of relinquishing the presidency as he had promised, Yuan ordered the assassination, Song Jiaoren, one of the Guomindang’s most prominent leaders. Furthermore, Yuan banned from parliament 438 Guomindang legislators and then simply dissolved the parliament itself. In 1916, he went so far as to abolish the Republic and declare himself Emperor. But the outrage was too widespread and deep for him to ignore. Fearing civil unrest, he restored the Republic, which was democratic only on paper, as the President ruled dictatorially until his death in June 1916. After the end of Yuan’s rule the Republic of China fell apart. Warlords seized power, creating personal fiefdoms in which they ruled like kings, independently of a central government that existed in name only (ibid., pp. 277-283).